The rare roll cloud in the Gulf Carpenteria provides a grand and spectacular environment for soaring conditions. The clouds can be longer than 1000km and higher than 10,000 feet. As the cloud rolls forward it rotates and lifts the air in front of it, creating incredible soaring conditions. They are an awesome phenomenon that is not well understood by scientists yet. It is mostly encountered during September and October just prior to the start of the monsoon season. 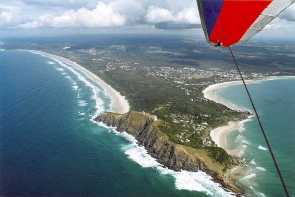 In the 2001 season a group of motorised hanggliders soared the Morning Glory cloud - probably the first time in the world with a motorised hangglider - and the best way to do it! The longest ride with motor off was over 2 hours at mostly 6500 feet. A video of flying on October 1 is available. The video includes 3 motorised hangglider pilots launching from the muddy Burketown saltflats, in-flight footage including air-to-air and a landing. Approximately 20 minutes. Format is PAL VHS. 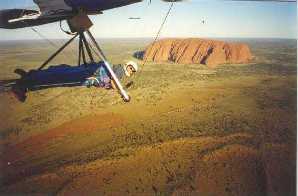 Quality is somewhat amateurish, but certainly shows how awesome it is to fly this rare natural phenomenon.